My first meeting with this breed was Josef, the friendly, faithful companion of Heidi’s grandfather in the TV series Heidi — the hit Japanese anime series that also made its way to South Africa in the 80s with Afrikaans overdubbing. True to its depiction in this children’s series, the typical Saint Bernard is indeed a gentle giant — intelligent, calm and a great companion dog if you can handle its size. The Saint Bernard descended from a large, broad-muzzled dog originally brought to the Alps by the Ancient Romans as a working farm dog. The earliest written record of the St. Bernard as a breed was penned by the monks at the hospice at the Great Saint Bernard Pass in the Alps in 1707, although paintings depicting the breed date even further back. The breed quickly became famous as rescue dog — helping to save travelers on the treacherous Alpine passes of the area. Interestingly enough, the original St. Bernard rescue dogs were smaller than the St. Bernard we know today. During the harsh winters of 1816-1818, avalanches killed many of the dogs during rescue missions. In an effort to save the breed, larger Newfoundlands were crossbred with the remaining St. Bernards. However, the longer fur the dogs inherited from the Newfoundland influence froze during rescue missions and weighed them down, causing the breed to lose much of its prowess as a snow rescue dog. Make no mistake: the Saint Bernard is a big dog. So big it’s classified as a ‘giant’ breed. 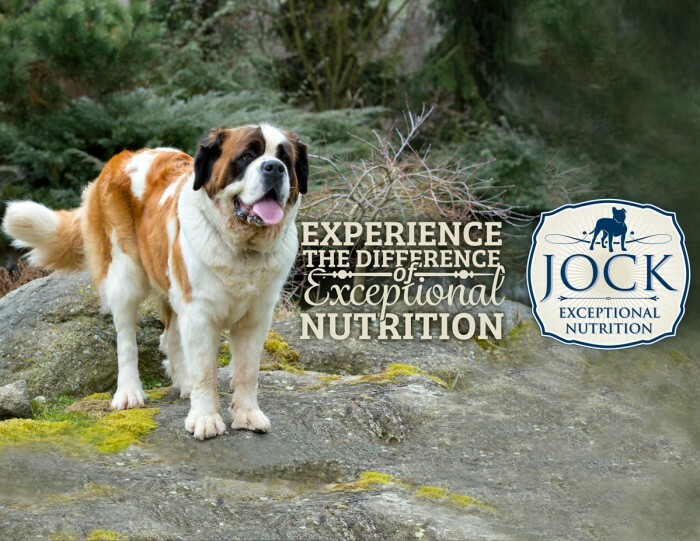 In fact, the heaviest dog ever was a St. Bernard: Benedictine Daily Double weighed in at a massive 166.4kg! Most don’t reach these proportions though, with the average St. Bernard being 65-120kg. At its withers, the typical dog stands at 70-90cm. The breed comes in both a short and long-haired variation and in either a shade of red and white, or a darker mahogany brindle and white, with darker marking around the face. Its short square muzzle will definitely drool a fair bit, so be warned if you don’t like slobber on your new pair of pants. It also sheds a pretty decent amount of hair. Despite its enormous size, the breed actually makes a calm indoor dog and is happy to lounge around most of the day in adulthood. It has a reputation of being tolerant of children although it’s so big that a swipe of its tail can easily knock an unsuspecting child over. (It should also be noted that no dog should ever be left unsupervised with small children — no matter how relaxed they seem to be). Saint Bernards are happiest around its family and much prefers chilling with its people to being left alone for long periods of time. Like all big dogs, and indeed all dogs in general, early training and a confident, firm owner will do much to curb any aggression and attitudes of dominance. In general, though, the Saint Bernard lives up to its name: being a saintly, gentle giant. 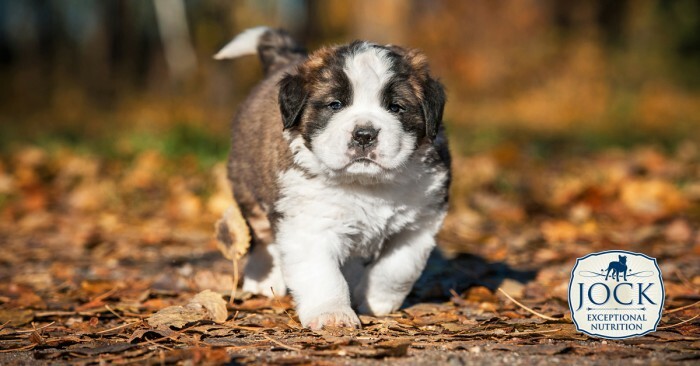 Saint Bernards generally live up to around 9 years and can, unfortunately, suffer from a variety of health issues, including hip and elbow dysplasia, heart disease, eye problems and eczema and epilepsy. Because the puppies grow so fast, special care must also be taken to make sure they get enough exercise to prevent bone deterioration. In South Africa, the summer heat is also a major concern, as the Saint Bernard is genetically conditioned to withstand extremely cold temperatures. Is the Saint Bernard for me? If you don’t like big, clumsy dogs that bring mud, drool and lots of hair into your home, then steer clear. If you can handle a humongous but loyal furry friend and can provide constant, calm companionship, the saint from the Alps might just be the K9 for you.